D+H is the leading company for system solutions in the smoke and heat exhaust ventilation area. A person can go days without eating or drinking, but only seconds without sufficient air. Therefore, the greatest danger for people when a building is on fire is the smoke and poisonous flue gas. In case of fire, an efficient smoke and heat exhaust ventilation (SHEV) reliably dissipates heat, smoke and toxic gasses. This keeps escape and emergency routes smoke-free. Fire brigades and emergency workers can reach the source of the fire efficiently and evacuate people quickly. This saves lives in case of emergency. Additionally, building damage is reduced significantly and property within this low-smoke layer is largely protected from smoke and soot. 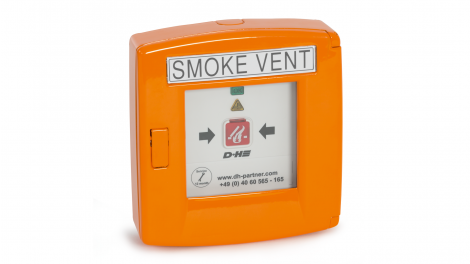 If smoke and heat development is reported by the sensors in a building, intelligent smoke extraction solutions from D+H open windows and skylights immediately in the upper wall or ceiling area. At the same time, other windows are closed to prevent smoke from penetrating into the areas not affected by the fire. As one of the first companies that used the motorised smoke vent and the first manufacturer of a certified smoke vent, we have comprehensive experience on the market. From extracting smoke from a stairwell to complex SHEV requirements for large buildings: D+H always provides a cost-effective, customised and safe system solution. Modular and digital. 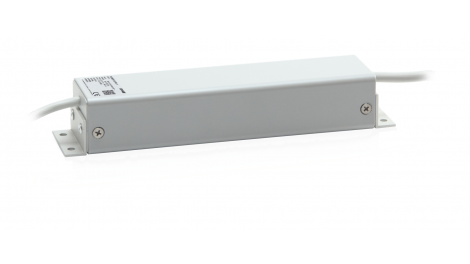 The digital smoke extraction controller with drives that communicate with the controller. Maximum safety requires precise communication. Therefore, our digital smoke extraction controller provides bidirectional communication for the first time. This means that the control panel not only sends its commands to the groups, but can also respond to the drives. The result is an intelligent system in which all components communicate with each other and exchange information. This allows the new control panel to ensure maximum security with precise communication. An external interface can be used to control any component of the system from anywhere in the world. This is really quite smart and, thanks to the free cascadability of the system, it can also be used in any building. Due to the modular structure, CPS-M is the optimal system solution for implementing a sustainable and cost-effective smoke vent design for any requirement. Individual solutions for maximum requirements. RheinEnergie AG management headquarters sets benchmarks for fire protection. The centrepiece of the building concept is a large atrium that is used as a multi-functional event location for thousands of people. In case of emergency, smoke has to be extracted from the huge space extremely quickly and reliably. This means maximum requirements for smoke extraction. The challenge for D+H was that there was not yet a standard assembly solution for the profiles of the installed supply air windows. This is why special consoles were developed for the top-hung window drives. 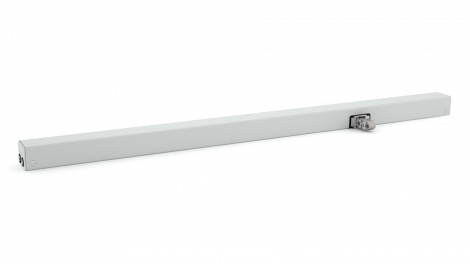 Powerful CDP Series twin chain drives carry out the taxing work of opening large-format supply air windows. EN: Sorgen im Duett für frische Luft: Jeweils zwei KA-34/600 K-BSY+ pro Fensterflügel an den oberen Kippfenstern. EN: Sicherheit auf ganzer Linie bietet in der RheinEnergie Zentrale die Einschubzentrale RZN 4308-E 230V. Sie ist optimal für den Einsatz in komplexen Objekten mit vielfältigen Anforderungen geeignet. Über 16 Gruppeneinschübe werden mit 128 Antrieben der Serie ZA, 68 der Serie KA und 33 der Serie CDP an den Zu- und Abluftfenstern gesteuert. How complex smoke tests save lives. The atrium of the new management headquarters of RheinEnergie AG is intended to be used for as many different functions as possible. As a meeting point for the numerous employees or as an exhibition area for electric vehicles and other attractions. Therefore, the structure is subject to stringent fire safety requirements. Various smoke tests were conducted to verify that escape routes are kept smoke-free and usable in case of fire. For this purpose, numeric methods from fire engineering were used to simulate two fire scenarios: the first scenario is a car fire in the hall space and then a fire in the nearby cafeteria. The results show that after a fire has burned for ten minutes, the smoke spreads over the entire area of the hall, but a lifesaving layer of air is formed. A sufficiently high layer of air with little smoke remains even 15 minutes after a fire breaks out in both cases of fire. This test demonstrates the efficiency of the D+H smoke extraction solution. Toxic fire smoke and extreme heat accumulate in the building. Lives are endangered, rescue work is impaired and property is destroyed. Intake air and exhaust air openings can be used to remove smoke and heat. Smoke is diverted in a stable smoke layer boundary above the area where there are people.